to fit into a single volume. Choice Two was to break up Volume I into two separate volumes and to restructure the book accordingly. I surrendered everything I worked for and planned. I opted for Choice Two. Books like to write themselves, probably because they don’t trust their parent. 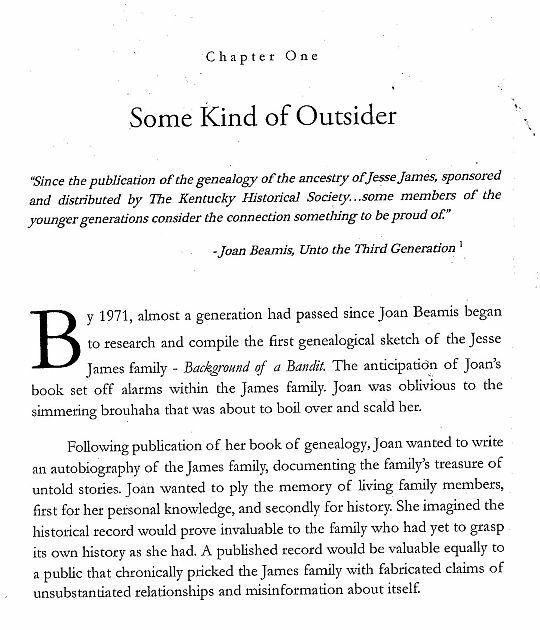 As author, my Chapter One for Jesse James Soul Liberty was a different chapter than this. For all the time I wrote this book, the book was being written to conform to a totally different structure and architecture, which I had planned meticulously. Then arrived the defining moment when a critical decision had to be made. in content, and too costly for publication.